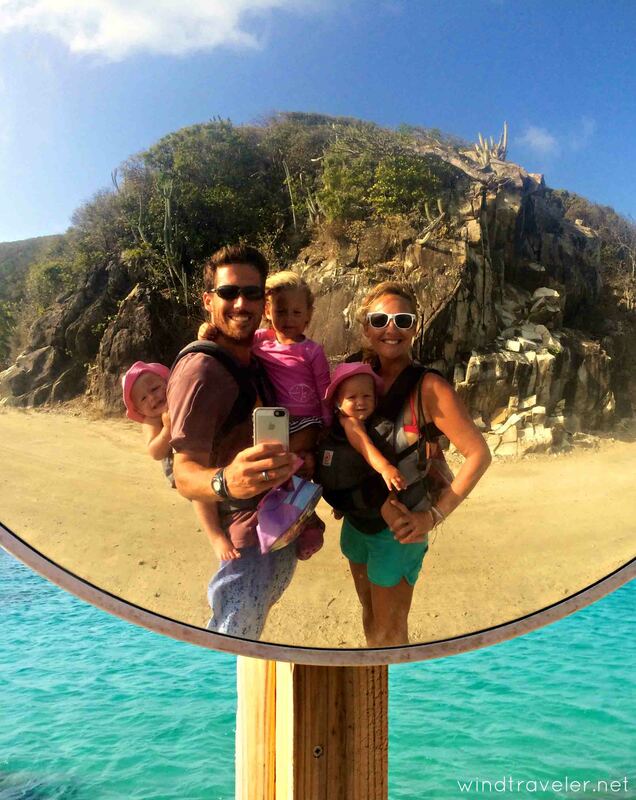 Want to hear from our favourite travel bloggers? Check out this interview! Here at Zizoo, we love sailing holidays. And we are always super jealous of those who have turned their love of boat holidays into a full-time, sustainable lifestyle. Their passion and dedication to the sea is undeniable, and we watch their journeys as they live the dream from coast to coast. Each month, we’re interviewing the people behind our favourite sailing and travel blogs to give our readers some insight into what a life of full-time sailing is really like. Our first guests were Mike and Rebecca Sweeney from Zero to Cruising. Check out their interview here. Our next guests are Brittany and Scott from Wind Traveler. 1. 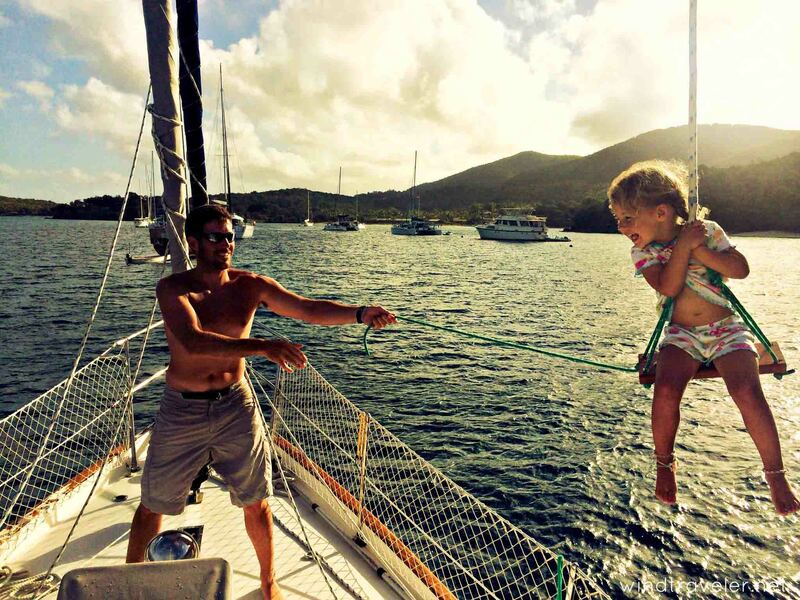 What sparked your passion for sailing, and what made you decide to adopt sailing as a lifestyle? Brittany: My family always had a cruising sailboat. It was something of a ‘summer home’ for us, and we’d take off cruising around the sleepy harbor towns of Lake Michigan for a few weeks every summer. While, as a child, I didn’t love the sailing part per se, some of my fondest childhood memories are from those trips, and I believe they fostered a strong family bond that continues to this day. Furthermore, as a young girl I read the book ‘Maiden Voyage’ about a teen who took off and sailed around the world. That book had a tremendous impact on me and, from that point on, I knew one day I was going to live and travel by boat. As for Scott, his family always had a trailerable daysailer that provided the family with lots of fun, and Scott took to the art of sailing like a duck to water. Whereas I love the travel aspect of the cruising life, he is definitely the better sailor. Both of us got into big boat racing in our later teens and early adulthood, which is how we first met. So as far as adopting cruising as a lifestyle, it was a pretty easy choice. Traveling in your home just makes sense, and both Scott and I have had what you might call gypsy pasts. Living on the boat, with all its challenges (and there are many! ), is incredibly rewarding. It’s rustic. It’s healthy. It’s invigorating and scary and exhilarating and frustrating. It’s the best of times and the worst of times and, as someone whose nature leans towards extremes, I like that. We do our laundry by hand, we make our own water from the sea, collect power from the sun and maintain most of our boat’s systems ourselves. Living small, living close to nature, having to be resourceful and innovative and almost entirely self-reliant are some of the aspects of the cruising lifestyle I love that I don’t think most land dwellers get to appreciate. When we decided to have children we decided to keep on going and raise them on the boat, knowing that children could and would thrive in this lifestyle. 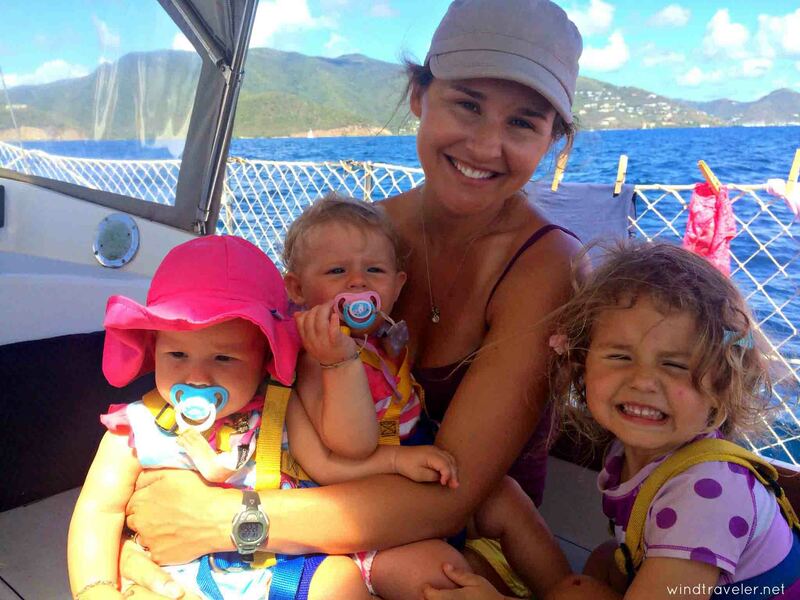 Our surprise twin pregnancy forced us back to land for a year but, once we got the hang of life with twins and a toddler, we moved back to the boat, used our innovation and prepped ourselves and our boat to make the transition as smooth as possible – and haven’t looked back. 2. What kind of boat do you sail, and what’s been the biggest challenge with it? We sail a 1988 Brewer 44, which is a fantastic boat for a small family. As far as challenges go, simply keeping on top of the maintenance is tricky, particularly because we have three small children under the age of three on board. This means time (and space!) to work is severely limited, not to mention the fact that I am no longer helpful to Scott since one of us needs to always be on baby duty. 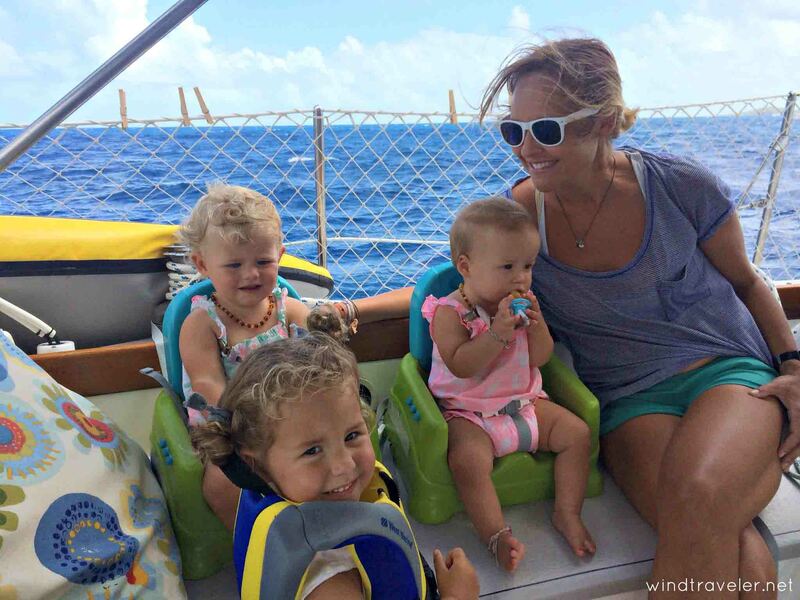 Then there is the sailing part – sailing with three small children (two of whom are one-year-old twins!) is not exactly easy, so we try to schedule sails around nap times, which gives us only a 2‒3 hour window to get anywhere. Again, limiting. The other challenge is space – we have three children and only two ‘bedrooms’, so we had to get creative with our sleeping arrangements. The twins share the v-berth, Scott and I are in the aft cabin and Isla sleeps in a make-shift bunk bed that we made in our walk-thru. It works for now, but a larger, three-cabin monohull is definitely in our future. 3. What are the 3 things you love most about sailing? Well, this question – as it pertains to me – would be less about sailing and more about the lifestyle. The three things I love most about the cruising lifestyle are the slower pace of life, the ability to travel in the comfort of our home, and the simple fact that there is adventure in every single day. We might not always *love* the adventure (wink), but we will have many stories to tell our grandchildren, that’s for sure. 4. Where are your 3 favourite sailing destinations and why? 1) The Exumas in the Bahamas for their remote beauty (despite their proximity to the USA, they are super rustic and feel very much ‘off the beaten path’), truly spectacular water (as clear as the day is long!) and incredible locals. 2) The British Virgin Islands, aka ‘Nature’s little secrets’ (where we will will be living permanently in the coming months!) because of the fantastic sailing, proximity to other amazing islands, the incredibly natural beauty and beaches, vibrant west indian culture and the fact that there is no shortage of stuff to do on both water and land. 3) All the islands under the French flag (in particular the IIles des Saintes!) as they are the best maintained, have a tropical ‘European’ feel, and offer amazing cheap wine, delicious baguettes and amazing cafes! Simply magical! a. Sailing conditions? The British Virgin Islands – the wind is always blowing, the seas are protected and calm (no big waves) and there is almost always a spectacular destination to sail to, no matter the wind condition/direction. This is RARE in our experience! b. Food? The French islands – one word: crepes. Best street food ever. I’m now salivating at the thought of them. c. People? The Bahamas – warm, inviting and totally unassuming. 6. Would you advise people to try chartering yachts before purchasing their own? It certainly wouldn’t hurt, I don’t think. But even then, living aboard and chartering are so very different. No matter what, boat ownership comes with a very steep learning curve and cruising that boat comes with an even steeper one. 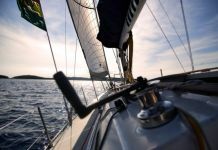 But it definitely pays to have (at least) a vague idea of what the life might entail, so I would certainly encourage people to learn as much as possible through sailing (day sailing, racing or chartering) and reading as much as you can (blogs and books can both paint a pretty accurate picture of what life might look like). But then again, there is something beautiful about jumping in head first and not looking back. It forces you to act and you won’t have the time to psyche yourself out or let others talk you out of what you are doing. I wrote a post regarding my experience here, that readers might find useful. Plenty of successful cruisers have started with nothing more than a dream and have made it happen from there. You don’t need a sailing background to thrive in this lifestyle. 7. What’s your favourite sailing quote? Feeling inspired to hoist the sails and cruise off into an orange sunset? 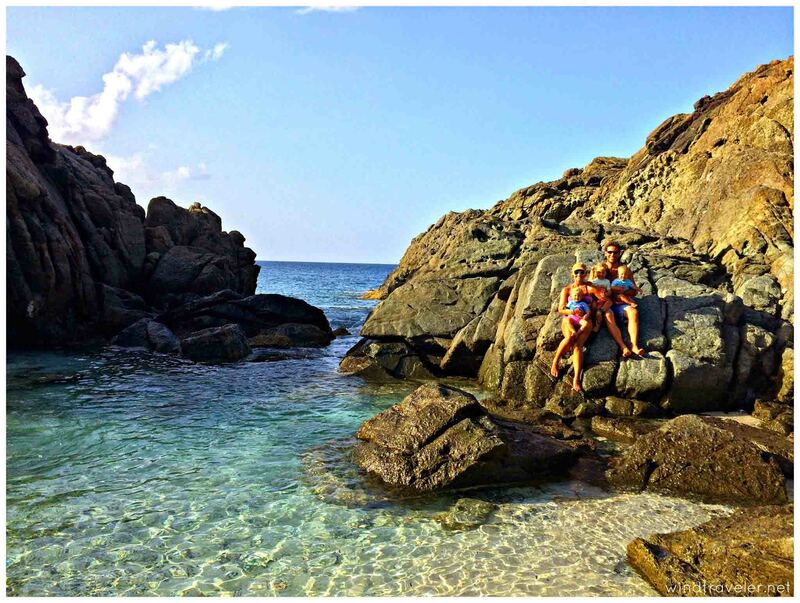 Dreaming of crystal clear water and stunning secluded beaches? Check out your options and book a boat now!